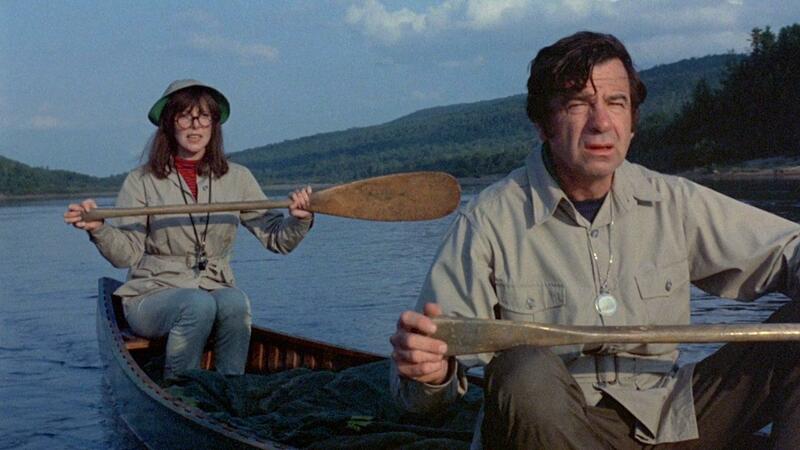 The great Chicago-based podcast, Filmspotting, recently completed an 'Elaine May marathon'; a trip through the four films the writer/actor/director produced between 1971 and 1987. If your cinephile knowledge does not extend to May then consider yourself forgiven. May does have a level of following probably somewhere around cult and, as Filmspotting efforts show, she is ripe for a re-evaluation. Her films though were also largely either underseen or underappreciated in their own time. Several audience members and critics believe Ishtar to be one of the worst films ever made, whilst 1976's Mikey And Nicky received only a limited release after litigation problems between May and Paramount led to the studio taking control of both the film and the final cut. May was not to direct again until Ishtar in 1987, which remains her last feature. Her work since then has mainly been in screenplays with credits on Primary Colours and The Birdcage in the 1990s. In marginally happier times, A New Leaf was May's first feature in 1971. Starring Walter Matthau and May herself, the film is a prime example of the rich man/poor man Comedy sub-genre, as Matthau's Henry Graham finds himself bereft of funding but in no rush to obtain a new lifestyle. Enter instead Henrietta Lowell (May), an heiress with little care for her wealth but a lot of care for Geography trips and cheap wine. Beginning a trend that was to continue throughout her directing career, May reportedly clashed with the studio throughout editing and shooting, championing a one-hundred and eighty minute version of the film, which was recut to this well-received one-hundred and two minute version. As the film's Wikipedia entry chronicles, this posed a problem for auteurist critics, who liked the cut version but sympathised with May's position. With the knowledge of the existence of the 'dark cut', it is easy to see how such darkness may have made A New Leaf a better film. There are hints here of Inspector Clouseau-like darkness and somewhat-violent slapstick which would have lifted the material and given it significant edge. The reviews which prejudge the dark cut as potentially damaging this cut's joy fail to remember that Clouseau, at the very least, continually caused significantly bodily harm and he isn't the only Comedy character to do so. That said, perhaps the method of murder (cold-blooded poisoning by the Matthau character), took the idea too far. We'll never know, but there is something a bit one-note about the tone here occasionally. 'Kneeling on glass is my favourite pastime', Matthau delivers at one point 'it keeps me from slouching'. Funny, yes, but also a touch too placid when the film stays at that level throughout. May mines the rich/poor divide for all that it's worth and delivers early laughs that begin to fade the longer the film goes on towards it love-strewn conclusion. On hearing he is broke, Henry embarks on a tour, revisiting high society places one last time, like a condemned man awaiting the noose. His interaction with his butler and lawyer are further highlights. But it is the lack of bite that your remember, probably in full vindication of May's original vision. Henry really wants to remain rich, but there never appears to be any substance behind the lengths to which he is willing to go to enable that. Eventually, with no other place to go, thanks to the editing room floor, the film reaches an inevitably soft and sweet conclusion that ratifies the fact that there should have been more sting, much earlier. A New Leaf was streaming on Netflix.